Embark on an epic journey in search of your daughter's magical cure. "This is one of the best games in the Delicious series to date. I highly recommend it for anyone who likes playing time-management games. The hardest part of the game is trying to find all of the hidden mice on the monastery levels. Get this If you like playing time-management games or are someone who likes any of the Delicious games!" I loved this games just as much as the previous games in the series! It does a great job of continuing the story and maintains your interest in the characters. I give it 5 stars! I love this game. The story with Emily continues, but has a twist. This time Patrick does the traveling and restaurant working. The developer has another winner in this series. I recommend everyone give this game a try. I love the Delicious series. Started playing and could not stop. Bought it as I always do. Great graphics. Highly recommended. I loved this game it was exciting and told a heart warming story of one of my favorite characters. 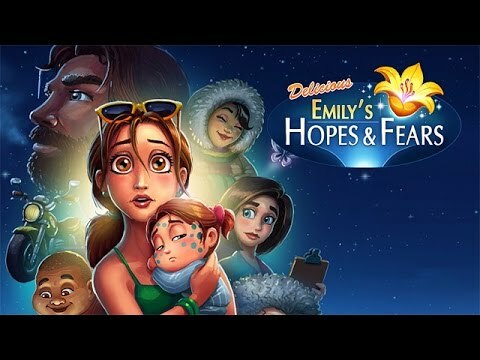 I've always loved the Delicious Emily games and this one is no exception. It's so addicting! I think it's a must have for anyone that likes games. The details and story line was excellent. It keeps me from putting it down. It's very addicting and I can't wait for the next game in the series. I actually loved the story line. It was very emotional. The gameplay was challenging at times. I always try to find the mice but could not on every level. I highly recommend this game if you like this sort of thing. I like it very much, just as i do all the other Emily games that I have. It is just hard enough that you have to pay attention at all times. I love the Emily games. They have great gameplay and I love the story lines. I love every Delicious: Emily game ever made. I loved this game and all the Emily games. They are easy to play andI would recommend this to anyone. One of the best games from the Emily series. I love the adventures to find the flower.